It’s a long drive to the city of Tanjung Balai in North Sumatra, Indonesia—almost five hours from the provincial capital of Medan, on winding roads past emerald green paddy fields and through palm oil and rubber plantations. The city is one of the main ports in North Sumatra, and connects both Malaysia and Singapore with Indonesia. Like many port cities, a large proportion of residents in Tanjung Balai make their living from the sea. Meiliana, a Chinese-Indonesian and a Buddhist, was no exception. Having lived on Jalan Karya in Tanjung Balai for eight years, she owned a simple store selling salted fish with her husband, Atui. 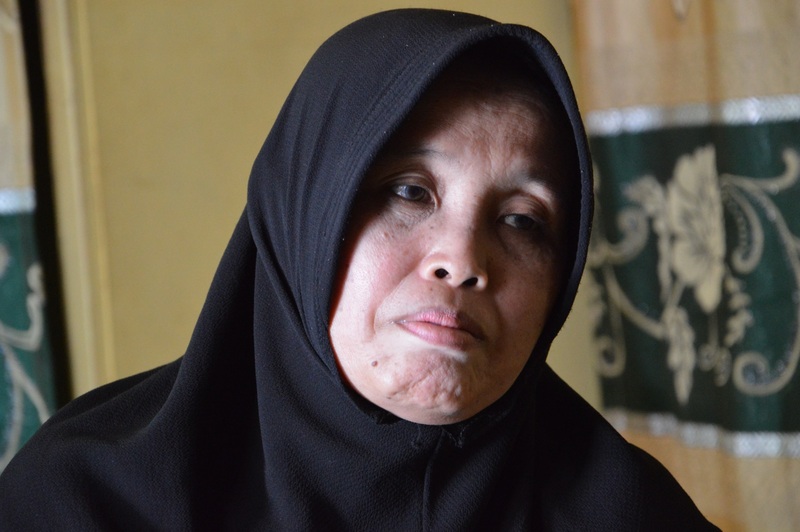 But in July 2016, Meiliana’s life was thrown into disarray, and in August 2018 she was sentenced to one and a half years in prison for blasphemy by the Medan District Court. It started out almost as a throwaway comment. In July 2016, Meiliana walked across the road from her small house on the sleepy street of Jalan Karya to buy breakfast buns from Kasini, a 51-year-old Javanese Muslim who owns a small shop selling sundries. It was something she did almost every morning. Kasini and Meiliana weren’t exactly friends, but they had a cordial relationship. At Eid-ul-Fitr, the end of the Muslim fasting month, Meiliana would bake cakes and take them to Kasini’s house. Kasini’s father, 75-year-old Kasidik, has worked at the Al Ma’shum Mosque since 2007 as one of its caretakers. Five times a day, he walks the few feet to the mosque from the home he shares with Kasini and her children and puts a cassette in an old-fashioned tape player. The azan (prayer call) then rings out across Jalan Karya, reminding Muslims that it’s time to pray. Karsini didn’t think much of Meiliana’s comment, other than wondering why, having lived just ten paces away from the mosque for the last eight years, she was suddenly bothered by the sound of the azan. “I did think, why is she saying this to me?” she tells New Naratif. But the mood was calm, and Kasini passed the request on to her father. He, in turn, told another caretaker, who then told the imam (the spiritual leader of the mosque). That comment, first made over a breakfast bun, then started to take on a life of its own. Word of Meiliana’s comment about the mosque speakers had spread from a neighbour to her father, from a father to his co-workers, from the co-workers to more neighbours, and from the neighbours to social media. The message got distorted as it passed from one to another, and eventually people were saying that Meiliana had tried to stop the Islamic call to prayer and insulted Islam, violating Indonesia’s infamous blasphemy law (Pasal 156A KUHP), which carries a maximum five-year prison sentence. A few days later, Meiliana’s husband Atui went to the mosque to publicly apologise for his wife’s comments. Meiliana was either too scared or too stubborn to go with him. In the end, it hardly mattered; her husband’s apology failed to insulate her against what happened next. 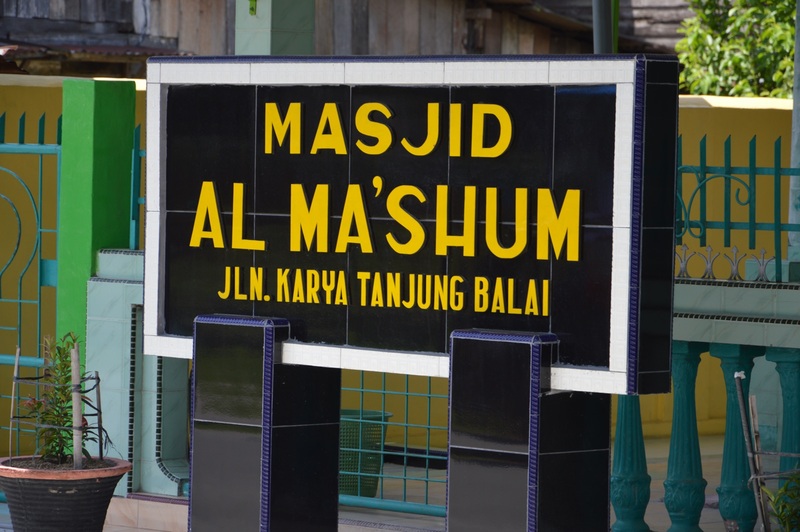 Prominent Islamic organisations, such as Front Umat Islam (FUI), successfully pressured the police to file an official report (link in Bahasa Indonesia). In 2017, the North Sumatra chapter of the Majelis Ulama Indonesia (MUI), one of the largest Muslim organisations in Indonesia, issued a fatwa (a non-legally binding but official pronouncement on Islamic law) against Meiliana. A mob proceeded to riot, pelting Meiliana’s home with rocks and bottles. They then set fire to Buddhist temples in Tanjung Balai. Kasini claims that Meiliana was originally taken into custody for “her own protection”, as the authorities were worried she’d be lynched if she stayed at home. But instead of protecting her, they charged her with blasphemy. According to one of Meiliana’s lawyers, Ranto Sibarani, the court proceedings were chequered at best. Particular to Meiliana’s case, there’s also been a debate about the volume of the call to prayer, and whether a request to lower it qualifies as blasphemy. In 1978, Indonesia’s Religious Affairs Ministry released (link in Bahasa Indonesia) instructions on how to properly manage the volume made by a mosque amplifier, prioritising melody over loudness; Indonesia’s current vice president, Jusuf Kalla, has also advised mosques in Indonesia to be mindful of the volume of their speakers, and dispatched technicians to help fix faulty amplifiers. Kasini says she feels “exhausted” by the case. She had to go to the police station countless times to give her testimony about Meiliana’s comment, and once attended court in Medan to give evidence. She says that when she made her statement to the judge, Meiliana was not there to hear the testimony against her, so the former neighbours didn’t have to face each other. When asked if she believes Meiliana committed blasphemy, Kasini shrugs her shoulders and looks confused. “I don’t know anything about the blasphemy law, so I just leave it up to the judge. He must have known what he was doing,” is all she will say. Kasini isn’t the only one who’s exhausted. Meiliana’s story is one of fatigue for anyone who has tried to follow the trajectory of Indonesia’s nebulous and opaque blasphemy law, and the myriad cases that have unfolded over the years, always following a similar pattern. Here, the cycle continues: frivolous litigation favouring the offended and mobilised mob; a president’s inability “to intervene in the legal process”; an outpouring of signatures in an online petition (link in Bahasa Indonesia); political convenience. The blasphemy law in Indonesia is built upon all of these things—this is the story of how it’s wielded, how it unfolds, and how it (still) stands. The blasphemy law has its roots in the administration of Indonesia’s first president, Sukarno. Signed into force by Sukarno in 1965, the law was originally meant (link in Bahasa Indonesia) to “accommodate requests from Islamic organisations who wanted to stem the recognition of indigenous beliefs.” It was later used as a way for President Suharto, the authoritarian second president of Indonesia, to prosecute anyone who dared to criticise his government. Attempts to revoke the law have failed on more than one occasion. Indonesia’s fourth president, Abdurrahman “Gus Dur” Wahid—who wrote an article in 1982 for Tempo magazine entitled “Tuhan Tidak Perlu Dibela (God Does Not Need to be Defended)”—was once involved in an unsuccessful petition to revoke the blasphemy law. In July 2018, a petition launched by the Ahmadiyya Muslim community in Indonesia, who claimed that the law inhibits their religious freedom, was also rejected. Anyone who stands accused of blasphemy in Indonesia also faces a tough legal battle with little chance of acquittal. One of the more recent blasphemy cases involved the erstwhile Jakarta governor, Basuki “Ahok” Tjahaja Purnama, who was sentenced to two years in prison under the blasphemy law. Accused of insulting Islam for having quoted the Quran while on the campaign trail during the 2017 Jakarta gubernatorial election, thousands of demonstrators took to the streets, calling for Ahok to be imprisoned. Although the scale of Ahok’s case was far greater, the patterns in Meiliana’s case mirrored his. At the very heart of Meiliana’s case—and all of the other cases preceding it—is Indonesia’s continuing streak of religious intolerance. Tanjung Balai is known for having a sizeable Chinese-Indonesian population; Chinese traders, arriving by sea, started to pour into the area in the 1800s. According to official records, the city has just over 185,000 residents, 157,000 of whom are Muslim and 11,000 of whom are Buddhist. At times in the city’s history, tensions between the different communities have flared. In 2009, Tanjung Balai bore witness to the removal of a Mahayana Buddha statue. “The appearance of the Buddhist statue elicited a violent reaction from Islamic leaders. Wahhabi leaders under the United Islam Movement (GIB) organised rallies and protests in May and June last year, calling for the statue to be taken down. They argued that it tarnished the image of Tanjung Balai as a Muslim town,” wrote Human Rights Watch in a report. Following Meiliana’s comments in 2016, a mob tore through the city and targeted several of its 16 Buddhist temples. This outbreak of violence is now considered to be one of the worst examples of racially motivated mob “justice” that Indonesia has seen since 1998, when rioters attacked primarily Chinese-Indonesian communities in Medan, looting from shops and attacking local residents. The riots then swept across the country, leaving 1,000 people dead. 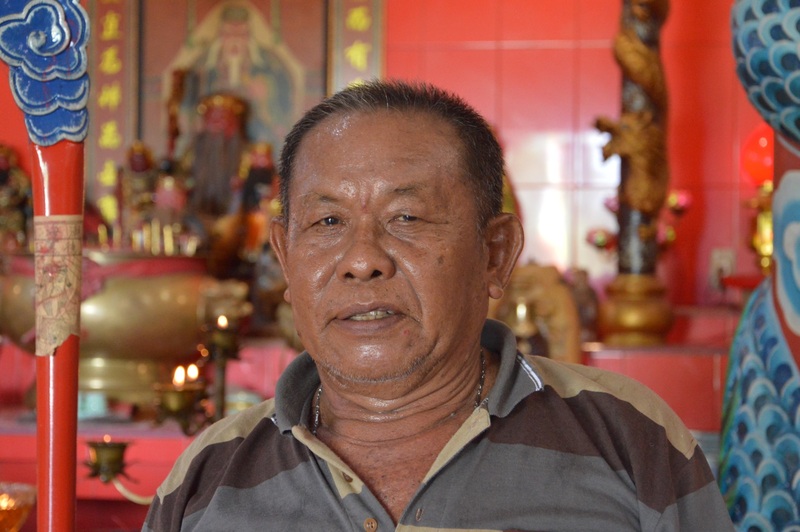 Atu is the 68-year-old caretaker of the Tiau Hau Biao Buddhist Temple, which sits on the estuary of the Asahan River in Tanjung Balai. The air is heavy with the scent of drying fish, and fishermen sit in front of the temple and cast their nets in the shadow of its crimson roof. Atu has worked as a caretaker of the temple for 10 years, since it was first built, and works from 5am to 8pm, seven days a week. His main duties include sweeping the floors and replenishing the incense. Back in 2016, he was at home when the temple was attacked in the middle of the night. When he arrived in the early hours of the morning, the building was still aflame. “I don’t know how much gasoline they brought with them, but they sure used up every single drop,” he tells New Naratif. Atu, and local residents who had come to help, set up a crude pump system to funnel water from the river to quench the flames. It took over an hour to put the fire out. Once the flames subsided, Atu saw that the roof of the temple has been destroyed. The statues had been burned. The floor tiles smashed. The restoration of the temple to its former glory took several months. According to Atu, the money promised by the government to help pay for it never materialised. Instead the refurbishment was made possible by donations from the local community. 19 perpetrators were eventually caught. According to news reports, “Eight were charged with looting, nine with malicious destruction of property and two with inciting violence”. All were given sentences ranging from one to four months in jail. Despite having ransacked official houses of worship, none of the rioters were charged with blasphemy, because no one filed an official complaint against them—one of the stipulations for someone to be tried under the law. Now he can’t forget the sight of his beloved temple burning in the morning light. The attacks on temples in Tanjung Balai certainly appear to show worrying echoes of the race riots that traumatised the Chinese-Indonesian community in 1998. Atu dismisses the idea that the people who attacked the temple were hired thugs, brought in to stir up racial unrest. In 1998, it was thought that members of the Indonesian military deliberately did just that to spark widespread riots and deflect attention away from the failings of the government, which led to the fall of President Suharto after 32 years in power. But, despite the fact that these attacks in Tanjung Balai seem to have been less tightly organised and politically motivated, it doesn’t reassure Atu. After news of the fire at the temple spread, Atu says local residents started visiting in droves to check out the damage. Buddhist festivals are held at the temple every January and October, and are popular events with the local community. Muslims also come to watch the colourful festivities. Atu says he hopes for a bigger crowd than usual this coming October, due to the publicity that the blasphemy case has sparked, which has actually raised the temple’s profile. He feels that a large, mixed crowd of spectators will be a good thing, and that local Muslims getting a taste of Buddhist culture which will help bolster relations between the different communities once more. “But this year, the police will be guarding us,” he adds. Rising religious intolerance is one way of looking at Meiliana’s case. But there are other lenses through which to examine this issue. One of them has to do with the question of whether religious intolerance is a mere manifestation of political expediency. In April 2019, Indonesian voters will go to the polls to elect a president. As both candidates, current President Joko Widodo and former Major General Prabowo Subianto, look to curry favour with Muslim voters in a country where 87% of the population is Muslim, changing the blasphemy law could be a risky move that could cause a backlash from more conservative sections of the Islamic community. And it goes beyond just individual voters. Ali continues to say that two of Indonesia’s largest Muslim organisations, Nahdlatul Ulama (NU) and Muhammadiyah, won’t allow for the possibility of the blasphemy law being completely revoked anytime soon, as both believe it to be an important tenet of Islamic law. Fast forward to the presidential elections in 2019, and it’s likely that both Jokowi and Prabowo will be wary of alienating voters affiliated with either organisation—or indeed the organisations themselves, who hold significant political power in Indonesia. Another warning sign that the blasphemy law is unlikely to be overturned or discarded anytime soon is the appointment Ma’ruf Amin as Jokowi’s running mate in the race for the presidency. Amin, who is the chairman of the MUI and known for his conservative views on Islamic law, initially said that he deplored the violent riots in Tanjung Balai following Meiliana’s comment. But, this did not stop the North Sumatra chapter of the organisation issuing a fatwa against her in early 2017. Amin has also thrown his support behind other high-profile blasphemy cases in the past, and wields significant political and judicial influence. “He plays the most important role in sending people to jail, like Ahok,” says Harsono, in a reference to Amin’s statement against the former governor of Jakarta, widely thought to have been one of the driving forces behind his conviction. Another example of the way politics and the blasphemy law are entwined is evident in Meiliana’s case when you consider the collateral damage: her family. Sibarani tells New Naratif that Meiliana’s son is still “afraid of the sight of a crowd” after the riots outside his home. Jokowi has said that he can’t intervene in legal cases or in Meiliana’s appeal, but there are those who think that he could show goodwill in other ways. “He needs to say something about the need for Meiliana’s family to be, say, socially and psychologically rehabilitated,” says Abbas. A few words from the president could perhaps go a long way in helping Meiliana’s four children to heal—still, he has remained silent, presumably so as not to offend any members of his conservative fanbase. Yet again it seems, politics has turned the blasphemy law into a matter of convenience for those jostling for power. This refusal of politicians in Indonesia to engage in discussions about the blasphemy law has serious implications, and muddies the waters about its essential premise. While outright revocation may not be on the cards, in its current form the law is porous and easily abused. Not everything can or should fall under the umbrella term “blasphemy”, and one of the main criticisms of the current version of the law is that it’s overly broad, encompassing a range of other issues like hate speech. Ali says that, for serious situations that could be construed as blasphemous in nature, like urinating on a Bible, for example, there needs to be a revision to the law instead of an outright repeal. But for other cases, such as a complaint about the volume of a mosque speaker, the law needs to be clear about what the term “blasphemy” actually means. “Several points of the law need to be amended so that it can’t be a catch-all law,” he says. As it currently stands, the only thing that’s clear is that the core meaning of “blasphemy”—and what it should encompass—is something that’s confused and confusing in Indonesia. And the lack of political will to even discuss potential changes to the law means that the absurdity of the very concept of blasphemy still remains in the shadows. After all, were there people rightly convicted according to the blasphemy law in Indonesia? For people like Harsono, this question goes right to the heart of the issue. “Of course there weren’t. How do you interview God?”, he says. Hope for a change to the law? Politicians might not want to rock the boat, but there might be a glimmer of hope on the horizon. Since her sentencing, Meiliana has had some support from surprising allies. As well as a Change.org petition with over 202,000 signatures, members of both Muhammadiyah and NU have criticised Meiliana’s sentencing—although not the blasphemy law itself, other than to say that it was incorrectly implemented in this case. Still, “both of these statements are unprecedented,” says Harsono. On Twitter, Indonesia’s religious affairs minister, Lukman Hakim Saifuddin, offered (link in Bahasa Indonesia) his services as Meiliana’s key witness if needed. Though conceding that the situation is “bleak” and that electoral prospects are likely to get in the way of either presidential hopeful wanting to fully embrace reform, Abbas says that public support for Meiliana gives him cause for optimism. Sibarani tells New Naratif that Meiliana’s counsel plan to file an appeal. This will add yet another chapter to her story, and could have repercussions across Indonesia if it’s successful. “If it goes through, we hope that it can be a legal breakthrough,” he says. Until then, Meiliana’s former home remains shuttered. A neighbour tells New Naratif that Meiliana’s husband was forced to move. Several members of the Chinese community from Jalan Karya asked him to relocate, as they were scared that they too would be the victims of reprisals and violence—tarred with the same brush of being “anti-Islam”. The neighbour also says that the couple had to give up their salted fish business on Jalan Asahan as they lost their permit to operate in the building as a result of the outcry surrounding the case. It’s unclear who gave the order for this to happen. Atui has now moved to the city of Medan to be closer to Meiliana in prison, and is trying to build a new life. When asked how she feels about this, Kasini looks pained. She wasn’t the one who made the original comment about the mosque speakers, but if she hadn’t passed on Meiliana’s request to her father, then perhaps none of this would ever have happened. Does she think that Meiliana truly committed blasphemy and got the punishment she deserved? Pressed again, and asked if this was fair and if she feels responsible for Meiliana’s fate, Kasini’s chin starts to tremble and her eyes fill with tears. She looks completely overwhelmed by the firestorm this case has caused—and which has consumed her life for over two years. She insists she was just the messenger, when she passed on the words that ended with a woman in jail and a family torn apart. Finally she looks up from the floor. Stanley Widianto is a Jakarta-based journalist who writes primarily about culture, politics and how they sometimes intersect.